A CRYPTOZOOLOGIST is on the hunt for the elusive yowie in the Gold Coast Hinterland after a truckie claims the bigfoot thumped his bonnet before Christmas. The unnamed truckie claims he was travelling in his nine-tonne empty tipper on Beechmont Road on November 13 when he encountered the Australian bigfoot. Just after 10am he says he rounded a bend near the Kokoda Army barracks and saw what he believed to be a rock fall out of the corner of his eye. He tried to avoid the "rock" by slamming on the breaks and came to a skidding halt. He said a "massive" mass stood up and hit the truck with his palm. "When it stepped out it seemed shocked and embarrassed it had been seen," the witness said in a recorded interview with cryptozoologist and yowie hunter Dean Harrison. "It was a nine-tonne truck but it felt like a small car," the truckie said. Witness sketch of the Yowie spotted in the Gold Coast hinterland. The animal was described as being more than 6ft tall, covered in muscle and hair. It had brown eyes. "Underneath the hair you could see pecks and abs and all sorts of stuff. I was left shocked." 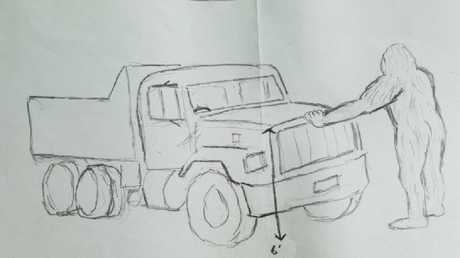 The truckie drew a description of the bigfoot for Mr Harrision, who has worked for close to two decades to prove the mythical beast exists. "It was the sighting of the year," Mr Harrison said. Sightings of the "monster" are not unheard of in the region, and peaked in 1977-78. 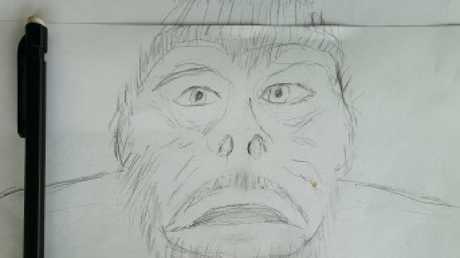 Witness sketch of the Yowie. In October 1977, about 20 TSS students, on a camp at Springbrook, reported they twice saw a Yowie and measured its footprints. Since the sighting, Mr Harrison's search has focused on the Canungra and Beechmont areas. 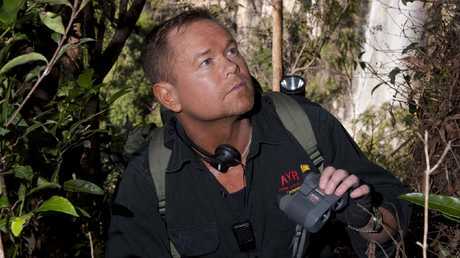 He has spent many nights in the bushland monitoring the area with night vision cameras and other detection devices. Similar encounters were recorded along the same stretch of road in 2015. "Years ago we saw more sightings at Ormeau and Logan Village and now they are moving through Beechmont and Canungra," Mr Harrison said. 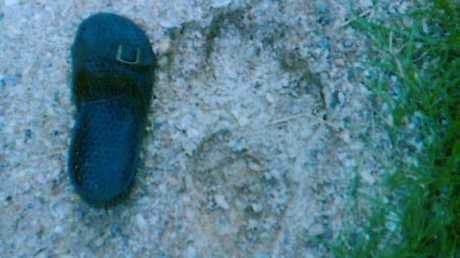 An alleged Yowie footprint found in the Gold Coast hinterland. "The Hinterland is certainly their habitat. Springbrook was a hub and one of the most well-known Yowie areas in the country." "The Kokoda barracks especially serve as an untouched sanctuary." Mr Harrison, who claims to have been attacked on two occasions by the creature, said military personnel and rangers had backed up his claims. "I have had several conversations with military personnel." While the sightings of bigfoot are rare, he warns they are also deadly. "I believe they could be dangerous, I believe they are responsible for many missing people." The Yowies could also be connected to a spate of animal mutilations in the area. "It may have something to do with the attacks, they are Omnivores and opportunistic hunters." Mr Harrison said doubters of his theories were of "no consequence". "People chose not to believe it but sceptics are of no consequence to me, we believe based on the facts we are presented with. People should be vigilant and aware these things do exist. "They blend in but look out for dark patches that don't look quite right." Gary Nutley, who has managed a camp ground in the area for close to a decade, scoffed at the claims. "What are they smoking? There is wild dogs, that is about it," he said. "I have not ever seen or heard of anything like that. "It isn't likely unless he has been through the army area. I guess anything could be there."